If you well up a little bit every time you hear "Seminole Wind," you’re definitely a Floridian. 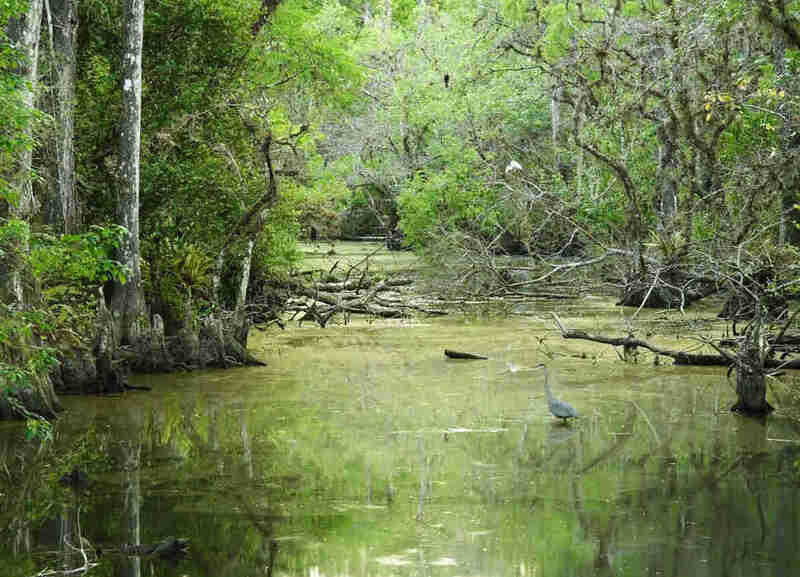 While our misrepresented, misunderstood state is famous for our world-class beaches, true Floridians known the state’s true beauty sits in the swamps, sinkholes, and cypress forests that make this the most unique ecosystem in America. We joined heads with lifelong Floridian Craig Pittman, author of Oh, Florida: How America’s Weirdest State Influences the Rest of the Country (and general expert on all things Florida) to devise one of the most useful lists to any Floridian with access to the internet. Together we came up with some of the most beautiful places in Florida you probably have never heard of. “You can tell the early settlers thought Florida was a hot place by how many places they named after hell,” says Pittman. 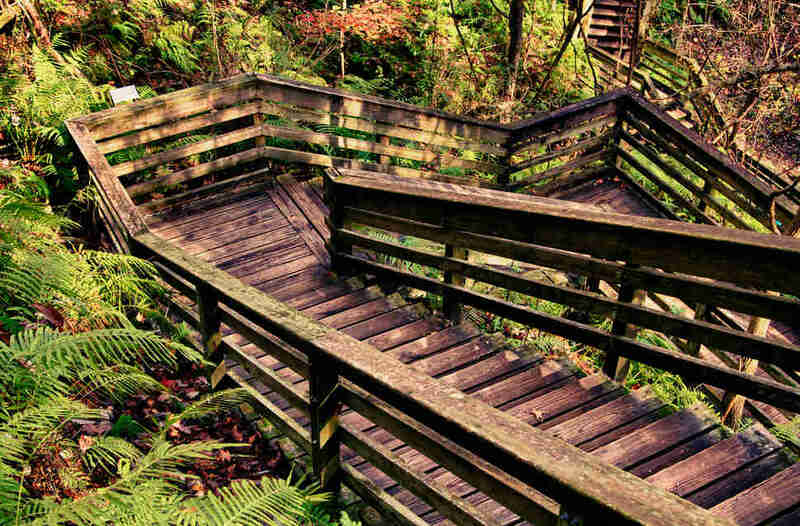 “One of them turned out to be gorgeous -- the Devil's Millhopper. 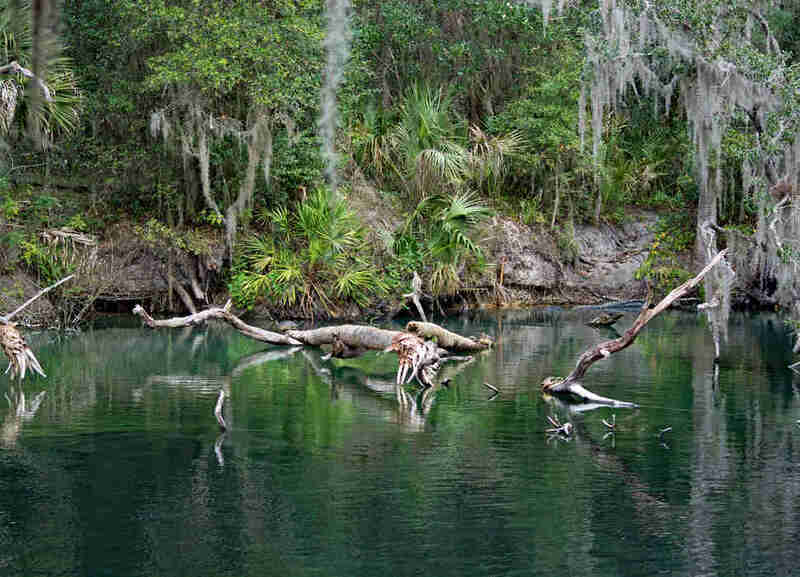 It's a sinkhole that turned into its own multi-layered micro-ecosystem.” This park -- just a few miles from UF -- is a National Natural Landmark that looks like a tropical rainforest got dropped in the middle of North Central Florida, full of marine and mammal fossils that also make it a research hotspot. When you hear the word “bluff” and “Florida” in the same sentence, you’d rightfully think it involved some sort of devious scam. Here you’d be half right. 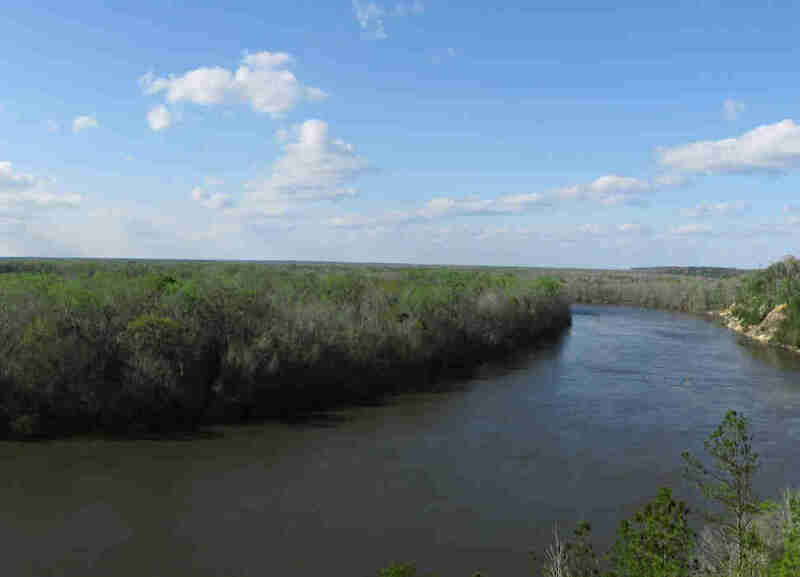 Because the rare elevation over the Apalachicola River does make for some of the most sweeping views in the state. But the place is so spectacular that one former owner claimed it to be the site of the Garden of Eden, and naturally charged visitors to see it. The entire Everglades can be a stunningly beautiful place with its big cypress trees, soaring herons, and mangroves curving over black water. This park captures it best. Known as “the Amazon of North America,” it’s a rugged, swampy stretch of land made famous in the nonfiction book The Orchid Thief, and later in its movie adaptation, Adaptation. 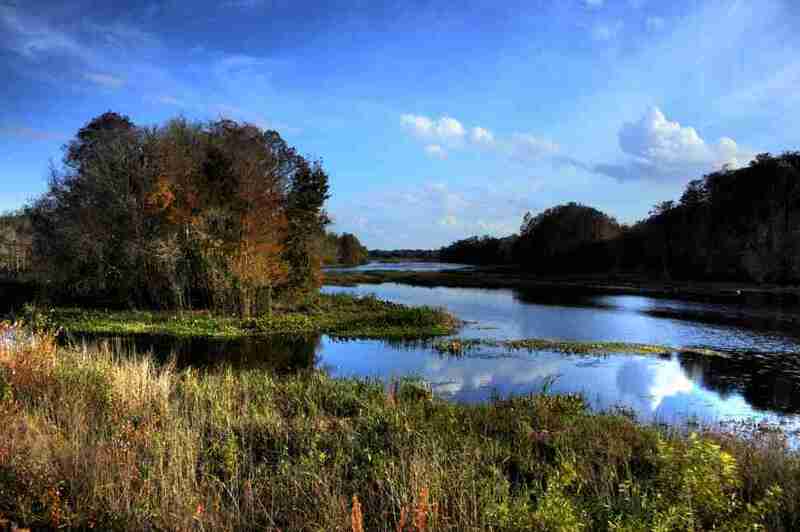 Most visitors to Citrus County come to swim with manatees, but this 46-mile trail that runs through Citrus, Hernando, and Pasco counties is an equally only-in-Florida experience. The rails-to-trails bike route takes riders past quiet swamps with giant lily pads, through palmettos and pines, into small southern towns and even to a roadside orange juice stand. 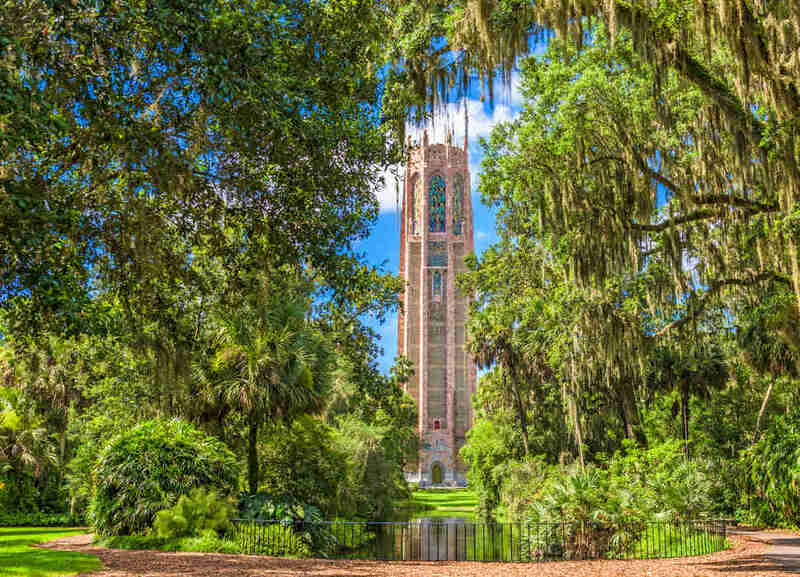 Most people who went to the University of Florida probably have at least heard about those cool botanical gardens off Archer Road, but then got distracted by dollar pitchers at Balls and quickly forgot all about them. Which is a shame. 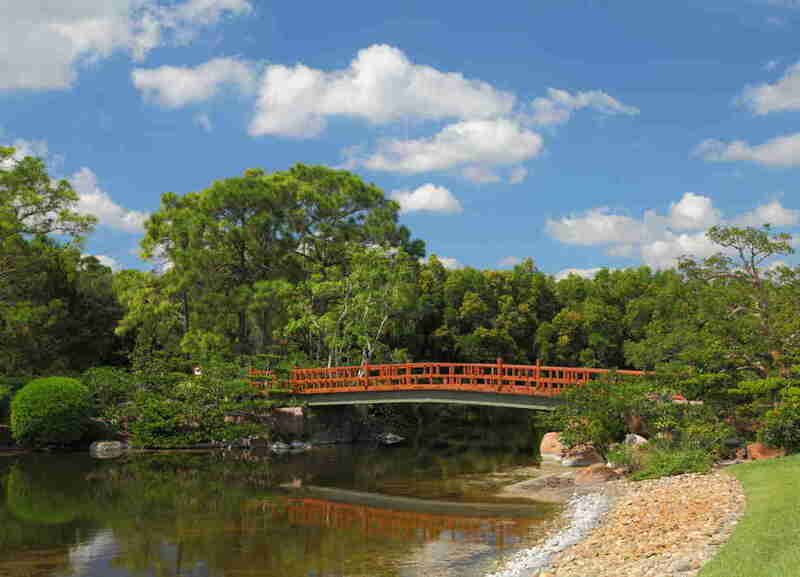 It’s home to 24 different gardens ranging from Japanese and rose gardens to palm hammocks and a butterfly garden. Kanapaha also boasts the largest bamboo display in Florida and the largest herb garden in the Southeast. Both reasons why it’s one of the best botanical gardens in America. In Florida, oftentimes what might seem “weird” to the rest of the country is beautiful to us. 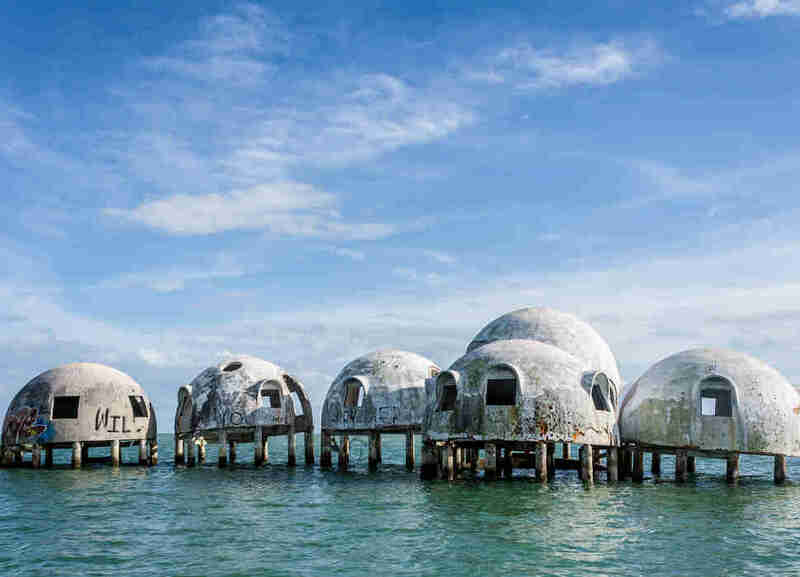 Take the mysterious dome homes set on the outer shores of the Everglades. They were once built as beach houses for oil magnate Bob Lee. Unfortunately for Bob, while he did account for hurricanes with these concrete structures, he did not account for beach erosion. So his houses that once stood on the sand are now bizarre white domes set against the Everglades’ green and Gulf of Mexico’s blue, an odd tribute to the beauty of nature taking back its land. “This the most unusual beach in the state,” says Pittman. “Its 3 miles of secluded beachfront and features dunes more than 25 feet high -- so high that from offshore they look like the sails on a ship, hence the name. What makes it unusual, though, are the three coastal dune lakes -- freshwater lakes that are brimming with fish." 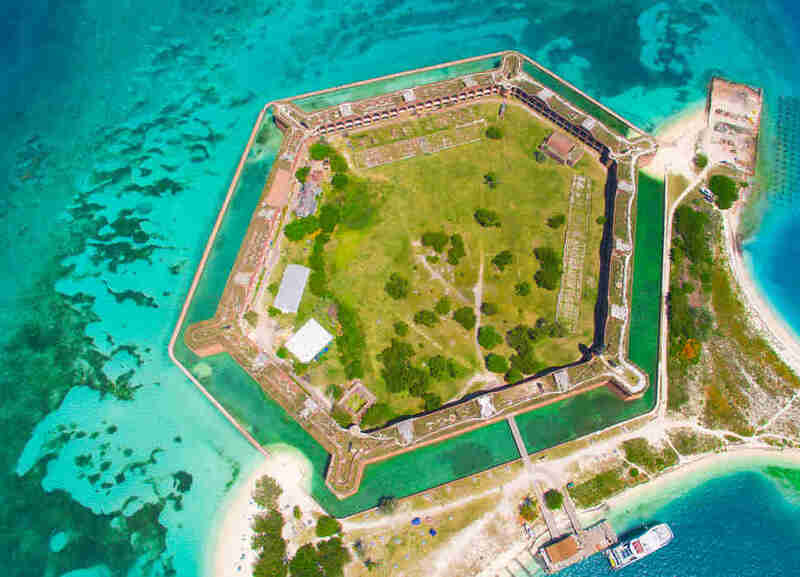 The most overlooked national park in the country was once described by Lincoln assassination-conspirator Samuel Arnold as, “Without exception... the most horrible place the eye of man ever set upon.” We’d beg to differ. 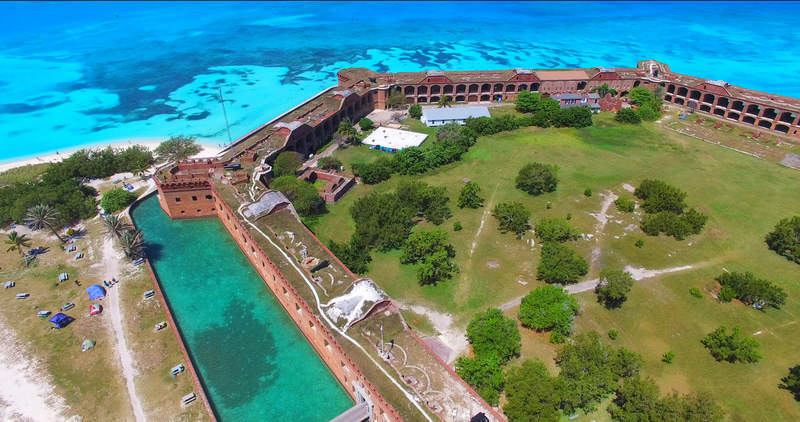 Granted, Arnold was sent to Fort Jefferson -- the 16 million-brick fort that serves as the centerpiece to this far-flung island park -- back when it was a prison. Now it’s a slice of tropical paradise only accessible by boat or seaplane. Overnight camping is allowed, but the islands are so remote you’ll need to bring your own water. A hundred years ago, a colony of Japanese farmers settled in southern Palm Beach county trying to change how Florida did agriculture. That... didn’t go so well, but the land now sits as a tribute to the Asian inhabitants of long ago, complete with tea ceremonies, a cultural museum, and perfectly manicured gardens. Hilltop mansions aren’t a common site in Florida, but the Mediterranean-style home that once belonged to Pulitzer Prize winner Edward Bok is a rarity both in its elevation and its surroundings. The lush gardens are the creation of famed landscape artist Frederick Law Olmsted, whom Bok commissioned to create a serene place to hear the 60 bells coming from the Singing Tower, the gardens’ centerpiece. 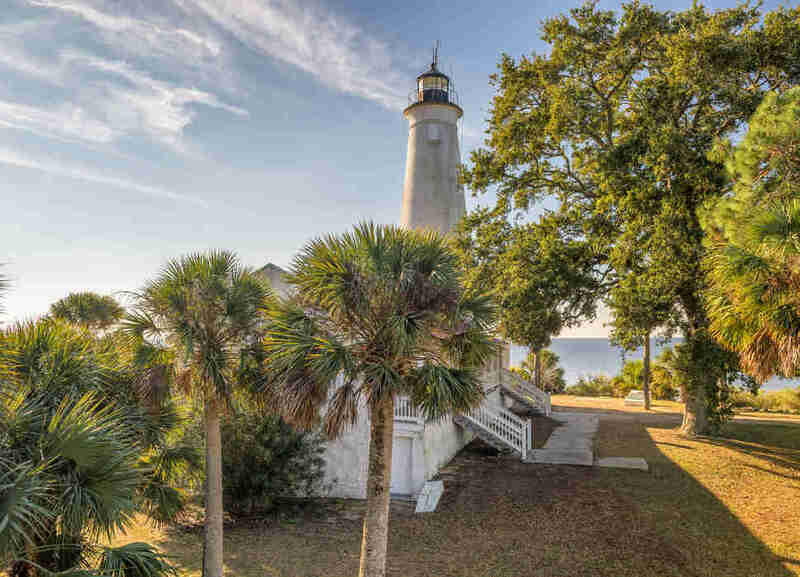 “This place is a must-see not only for its historic lighthouse -- which inspired the one featured in Jeff VanderMeer's novel Annihilation -- but also for being a stop on the migration route for thousands of monarch butterflies,” says Pittman. “October is when hordes of monarchs arrive and settle in all over the refuge to rest up before continuing on their long journey.” So if you're going to go, that's the time. While Florida’s beaches are up there with any tropical paradise, we’re a little behind in the remote, fern-covered waterfall department. 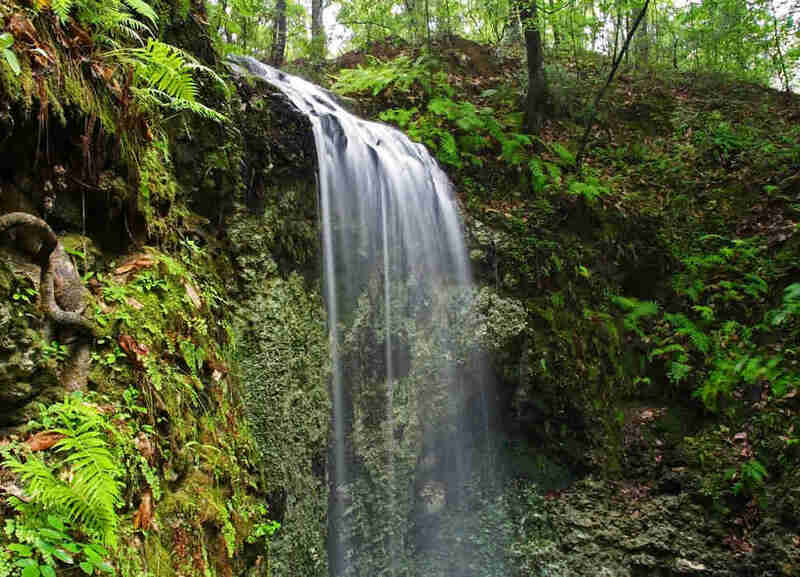 Our best entrant is this park, the highest waterfall in the state where a trail of tropical foliage leads to a 73-foot waterfall that drops, like so many Florida homes, into a mysterious sinkhole. Once in the sinkhole, the water’s final destination is still a mystery. “It's hard to pick a favorite Florida spring” says Pittman. 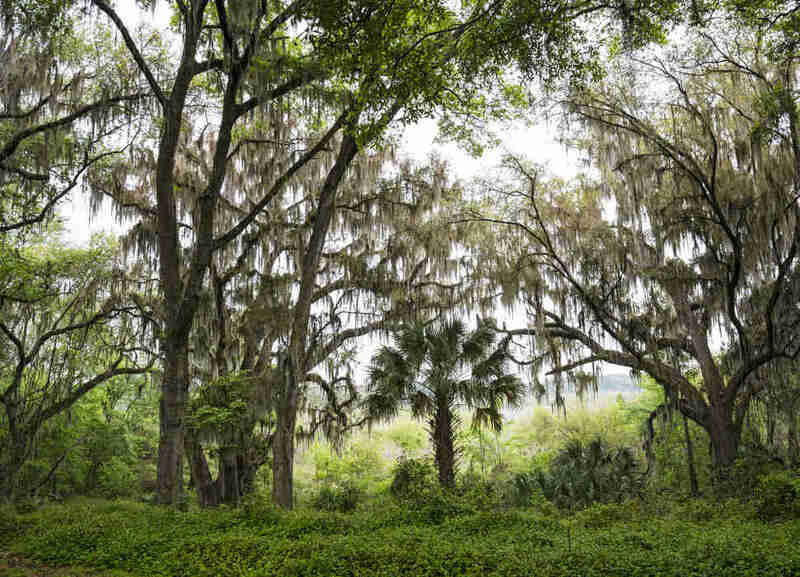 “But certainly one of the prettiest, and cleanest, is the one the state just bought, Gilchrist Blue Springs.” Also of note: The land the park is on was originally an engagement gift from St. Petersburg tycoon Ed C. Wright to his longtime assistant and companion Ruth Kirby. When he died, he left her as executor to his estate. She sold much of his holdings, but kept Blue Springs as a natural park until her family sold it in June. You know how we know Florida gets no respect? 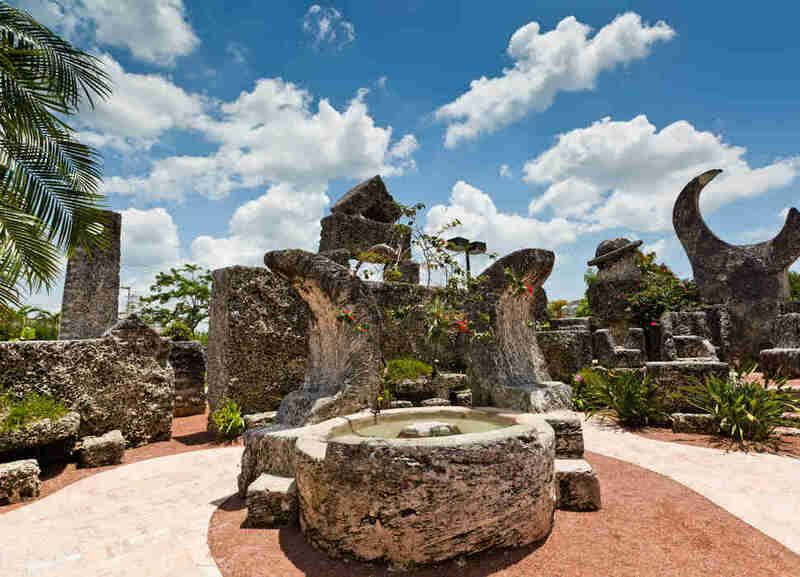 Because nobody ever mentions Coral Castle as a possible eighth man-made Wonder of the World. Ed Leedskalnin took 28 years to turn 1,100 tons of coral rock into this elaborate castle... by himself. Though there are no witnesses to his feat, Ed would tell visitors in the 1950s the he simply knew the secret of building the Egyptian pyramids. The result is the most impressive artificial structure in the state. Florida is rivaled by only Hawaii as a state that’s almost as beautiful underwater as it is above. 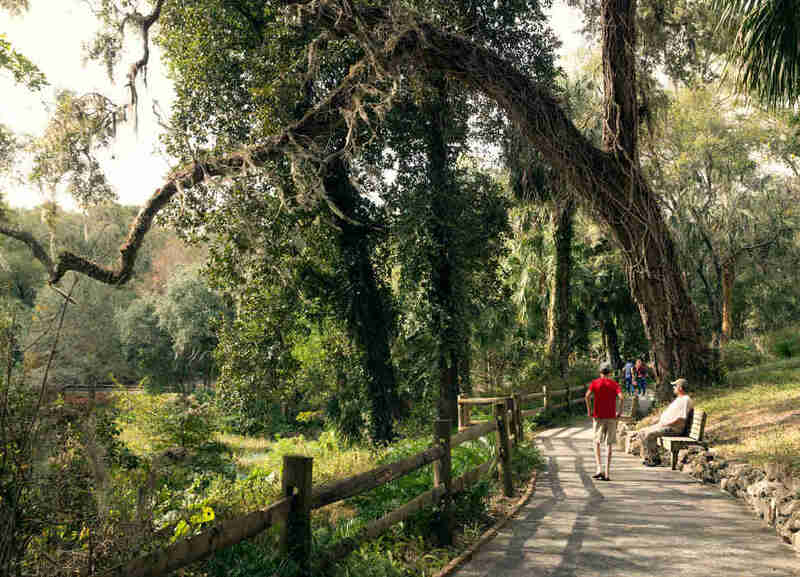 The best spot to catch equal amounts of both is this park, where Spanish moss drips from the trees that line the Rainbow River, and the Seminole Waterfall cascades down over ferns and red flowers. Under the water, divers can drift through natural springs and gaze at freshwater fish, where the clear water makes for one of the best drift dives in the state. Matt Meltzer is a contributing writer to Thrillist who still appreciates the subtle beauty of a Turnpike rest stop.